Our mission is to be the catalyst in communities of customers, contributors, and partners creating better technology the open source way. More than 2 decades ago, Red Hat had a spark of an idea—a vision for developing software differently. 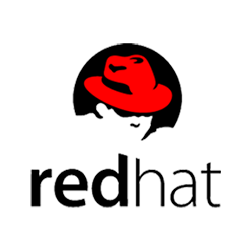 We believed that collaboration with an ecosystem of IT leaders, open source advocates, developers, and partners could create a better foundation for the future of IT—Red Hat® Enterprise Linux®. But that was just the beginning. Today, we deliver a comprehensive portfolio of products and services using the same open, collaborative business model and an affordable, predictable subscription. Open technology and security are tightly connected. Rather than relying on one company or development team to create a secure solution, open technology helps industries like public and private sector work together to create their ideal, secure environments. The open development model allows entire industries to agree on standards and encourage their brightest developers to continually test and improve technology. For example, SELinux was co-developed by the United States government and Red Hat, among others. Red Hat, the world's leading provider of open source solutions, today announced that NASA’s Jet Propulsion Laboratory (JPL) has built a private cloud based on Red Hat OpenStack Platform, saving significant time and resources spent on datacenters by retooling and consolidating their in-house hardware. JPL, NASA’s primary center for robotic exploration of the solar system, used Red Hat’s OpenStack and Linux technology to modernize its on-premise storage and server capacity, giving them the ability to support hundreds of JPL mission scientists and engineers.